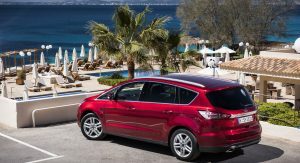 Earlier this year, Ford announced plans to eliminate a handful of slow selling cars in North America including the Fusion, Fiesta and Taurus. 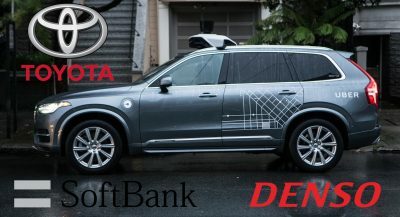 The company will instead focus on trucks and crossovers which are popular with consumers and more profitable for the automaker. 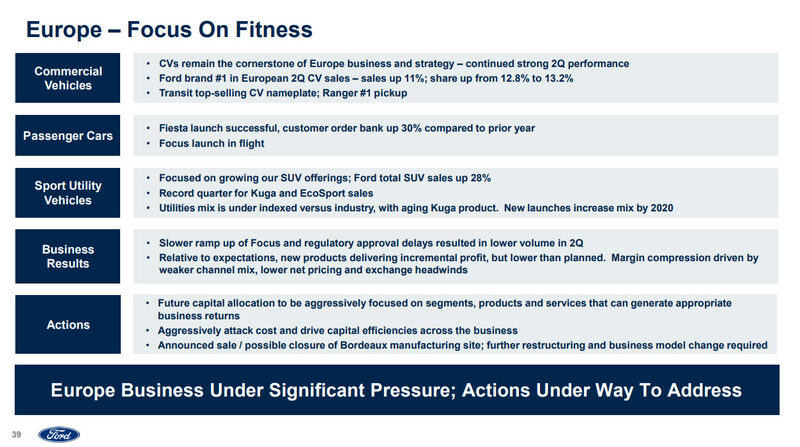 While Ford hasn’t been coy with its plan for North America, the company has been more tight-lipped about Europe. However, that changed last week when the company released its second quarter earnings report. 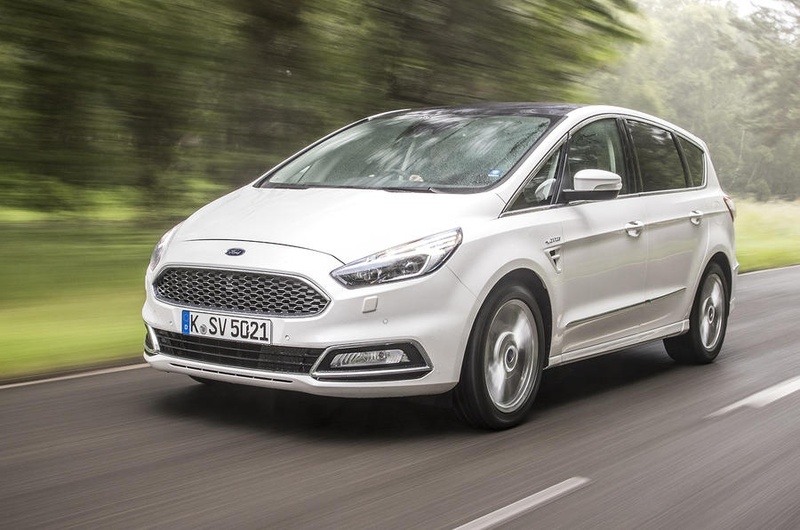 Auto News Europe reports Ford CEO Jim Hackett said the $73 (€62.3) million pretax loss left the company “extremely dissatisfied” as it will likely mean the European unit won’t be profitable this year. 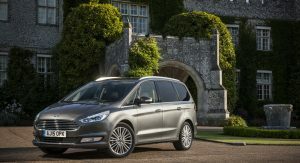 This isn’t too surprising as Ford’s CFO, Bob Shanks, said “The low-performing part of our portfolio represents a majority of our volume, revenue and capital deployed in the region.” Shanks went on to identify these under performers as cars and “multi-activity vehicles” such as the C-Max. Given the weakness of MPVs, a number of models could be dropped once they reach the end of their lifecycle. Nothing is official, but the C-Max, S-Max and Galaxy could all be on the chopping block. The fate of the Mondeo is also murky as its North American counterpart is going away. 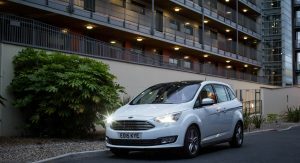 Ford is working on an updated version of the car, but Carsalesbase data shows the company only sold 56,173 Mondeo models in Europe last year. That’s nearly 15,000 units less than 2016 and a fraction of the 163,262 units that were sold in 2008. The Filauki 360° Modeno is upholstered in only the finest Corinthian leather…Because at Filauki, we know a thing or two about fine automobiles. 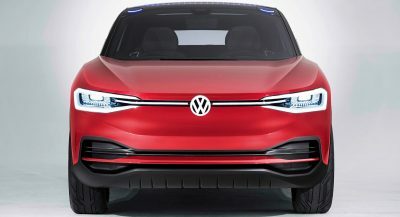 Within a few years, they’ll introduce a low-to-the-ground, four door, fwd CUV. Might even call it a Fusion. 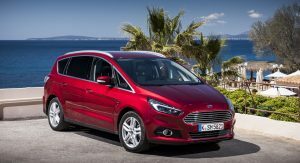 If I were planning Ford’s future product line in Europe; I’d retain the ‘S’ Max and ‘C Max Grand.’ These could continue to serve a semi popular segment, especially where large families are concerned. I would cut all Mondeo models apart from an ‘Active’ version both in saloon and wagon configurations. No doubt, Ford plan to replace the Kuga very soon, as the US version (Escape) has been teased along with a big and small Bronco? Europe should get the small Bronce plus another ‘young buyer’ SUV. I should imagine work is currently underway to replace Ecosport, at the earliest opportunity (well let’s hope so)? 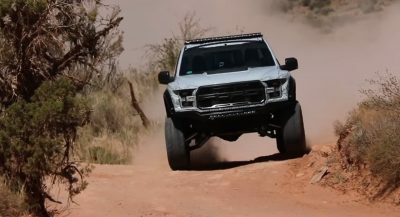 The Ranger could be expanded to include the Everest, an SUV based heavily on the pick up. This is a popular choice in Australia, and looks good on the highway. I believe the all new Focus Active will sell very well in Europe, and this will be the only Focus variant to be sold in the US in the next year or so. 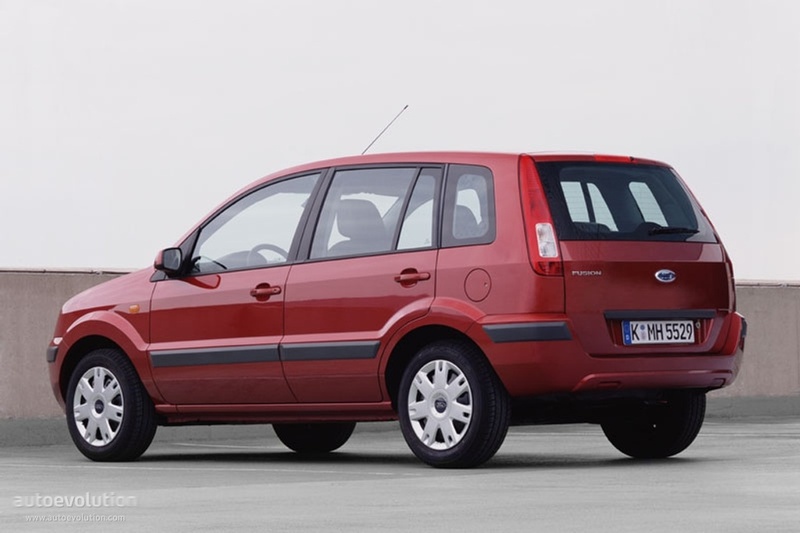 The Fiesta Active version will also appeal to the younger customer. 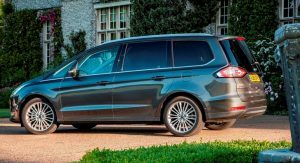 All in all, Ford as enough product lines to comfortably replace the more conventional, and rapidly dwindling slow selling vehicles in its range. Admittedly, some will need a redesign, but once that is achieved, their European sales should begin to normalise? 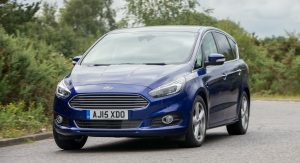 Agree on the whole, but I don’t see the ‘Active’ versions of the Focus and Fiesta being big sellers. These faux Crossover/SUV versions from mainstream manufacturers tend to be short-lived (only ones with a premium badge seem to have any longevity) and I can’t see Ford bucking the trend! I don’t agree erly5. Not all customers want a SUV, it just does not appeal, but a vehicle that retains a saloon/wagon (not a SVP) appearance but offers a higher driving position, would be welcome especially with the ‘Third Age’ group. Remember, the ‘Active’ option can offer just as much a SUV including 4×4 option, it just lacks the ground clearance. The Volvo equivalent has been around for some years, but because it stood alone and were bought mainly by vets and doctors in remote locations, the trend was slow to take off. Today, the halfway house solution is beginning to interest more and more people, who thought they would never get out of their cars? If and when the SUV craze diminishes, it could well be the active variant that survives the longest? I always wanted Ford to bring the Galaxy to the US. Call me crazy but after seeing so many SUVs on the road and how similar they are, there’s something cool and unique about the Galaxy. I would buy a C-Max Max, whatever it’s called. The longer version with the sliding door. I always wanted the S-max, especially a hybrid S-max. It’s a really beautiful car and it’s the perfect size without looking like a family minivan (like the big ones we have here in the US). Great cars but they don´t sell. Hope they do something about the safety of their cars. The Mustang, Kuga and EcoSport are not safe enough. People are strange. Why do they want cars that are big on the outside but not on the inside? And they’d rather have unusable ground clearing than using that volume for leg- and headroom. 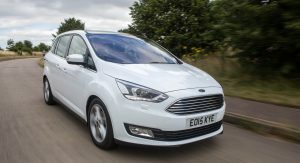 Especially European MPVs are excellent, it’s a shame if they go away. Because of the seating position, an SUV have loads more legroom. And why is ground clearance unusable? I’ve always liked the S-Max, and although previous shape sold by the bucketload, the new one is stupidly expensive and you hardly see any of them on the road. Meanwhile, the Kuga is doing extremely well. It was just a matter of time before it was dropped. The old shape, yes. But the new one is selling very poorly. Alaxy full 6 seater and stylish. They also need a sporty Mondeo like mk3. 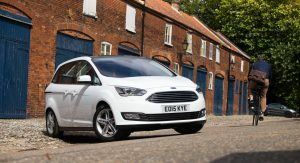 Ford said it will attempt to reverse the losses in Europe by lowering costs, improving efficiencies and “allocating capital to the segments and products that can generate appropriate returns. Not a word about building cars people would love to have.